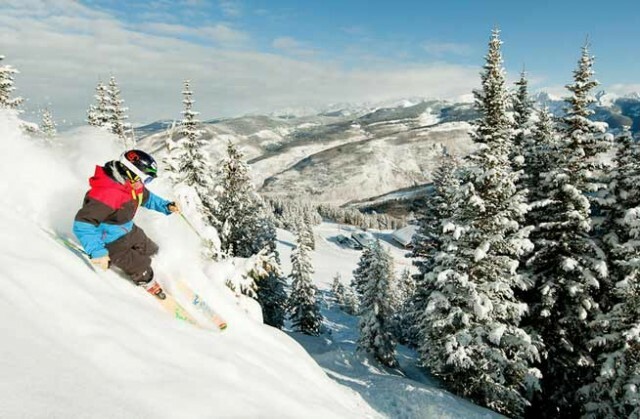 How Monumental is Vail Resorts’ Wage Hike? What does a Vail Resorts wage increase mean for ski employees? Besides more breakfast burritos, of course. PHOTO: Connor Walberg/Flickr. A few weeks ago, Vail Resorts stole headlines in the ski and travel world when it announced it would increase entry-level minimum wage to $10 an hour across the board. Effective September 26, the hike will occur at Vail Resorts in eight states, and will affect nearly 7,500 of its reported 25,000 employees. “We are taking this step because it is incumbent on us to do the right thing for our employees as well as remain competitive as an employer,” wrote CEO Rob Katz in a Vail Resorts press release. But how big of a deal was the Vail Resorts news, really? Some like Mount Baker Operations Manager Gwyn Howat, applaud the move, but acknowledge that the increase is “nothing new.” Howat estimates that with working wages and company benefits, entry-level employees at the North Cascades resort have made over $10 for quite some time, and suggests that many other mountains are in the same boat. “It kind of seems like [Vail Resorts] is tooting their own horn on something that people are doing anyway,” continues Howat. That being said, she admits that circumstances may be different for a corporation like Vail. In Mount Baker’s home state of Washington, minimum wage is set at $9.31 where resorts affected by Vail’s news are in states with considerably lower minimum wages. California is the highest of those with a $9-an-hour wage, while Colorado’s is currently $8.23, and Utah, Wisconsin, and Wyoming are hovering around $7.25. In addition, Vail’s promised wage increase affects a much larger employee base than smaller independent resorts, so while they may have more capital to work with, they will also be shelling out a solid amount of additional cash to keep their promise this upcoming season. Cynicism aside, no one knows the true motivation behind Vail’s pay bump, but let’s hope it is for all the right reasons. At the very least, it has put larger ski corporations on notice, and, if Vail is dedicated to providing a competitive wage, could shake up the ski employee culture for years to come.